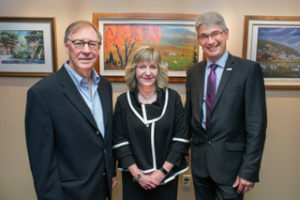 Lévis (Quebec), September 11, 2018 — Filaction, a Quebec development fund, and Natural Products Canada (NPC), the national not-for-profit that provides insights, introductions and investment to natural products companies, today announced an investment in BioTEPP Inc, a Canadian biotechnology company with an innovative solution to pest management. Details of the deal were not disclosed. The deal reflects the growing global demand for innovation and natural approaches to agri-tech and other sectors. BioTEPP’s VirosoftTMCP4biopesticide leverages a naturally occurring microorganism for the reduction of codling moth damage on apple, pear, plum, prune, and walnut trees. The investment represents the first partnership between Filaction and NPC, and fully utilized each organization’s capacity to assess, develop, and de-risk the opportunity. BioTEPP will use the capital to accelerate its expansion and increase commercialization of its flagship product Virosoft™ CP4into promising new markets. The BioTEPP investment is the fifth addition to the NPC investment portfolio, which was started in 2017 to help innovative Canadian natural product companies attain the capital necessary to achieve growth milestones. Natural Products Canada (NPC) works with an array of partners to commercialize naturally-derived products and technologies in health and life sciences, natural resources, agriculture and agri-food, and sustainable bioproducts. It acts as matchmaker and mentor to companies and researchers; serves as technology scout and ecosystem navigator for multinationals and large corporations; and helps investors discover, develop, and de-risk opportunities. NPC has over 400 opportunities in its pipeline and has completed five investments, including one exit. Established in 2016, NPC is funded by a range of public and private investors, including the Government of Canada’s Centre of Excellence in Commercialization and Research (CECR) program, administered by the Networks of Centres of Excellence. Visit www.naturalproductscanada.com.